The Primary 2 students worked vigorously in all areas of the classroom. 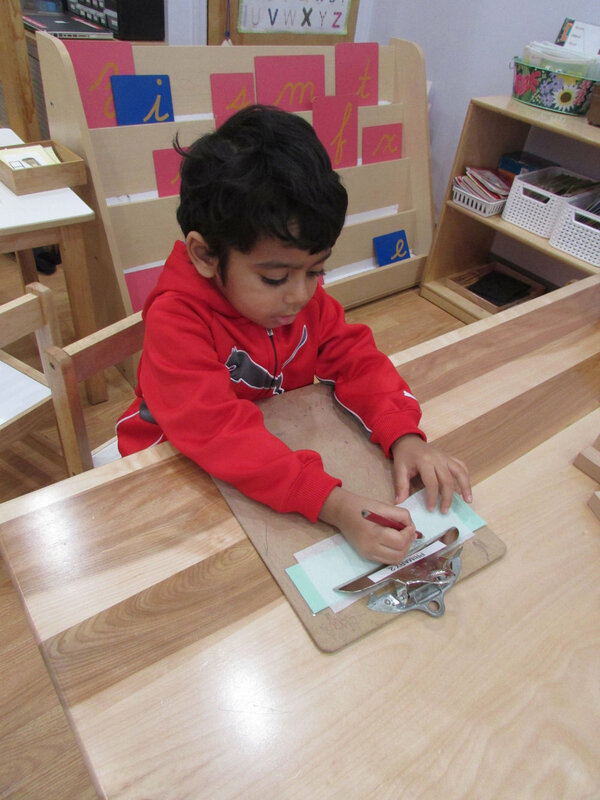 Some chose to work on name tracing, a work commonly used by younger Primary students to practice the writing formation of their names. 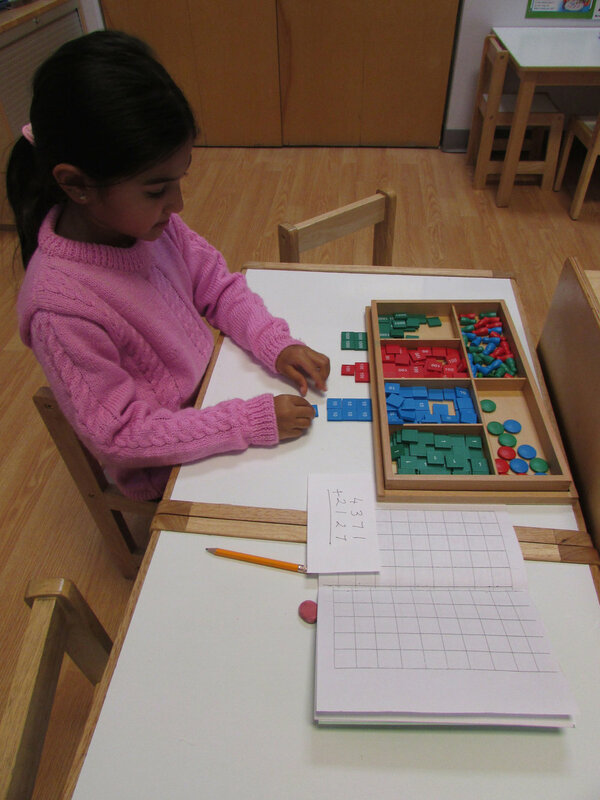 Other students worked on Math, choosing work such as number writing or using the Stamp Game and other materials.